The flood of WhatsApp communications was part of what a sheriff branded a “litany of messages” directed by repeat domestic offender Thomas McNeil towards the woman, which culminated in him threatening police when he was arrested in connection with another matter early in the New Year. 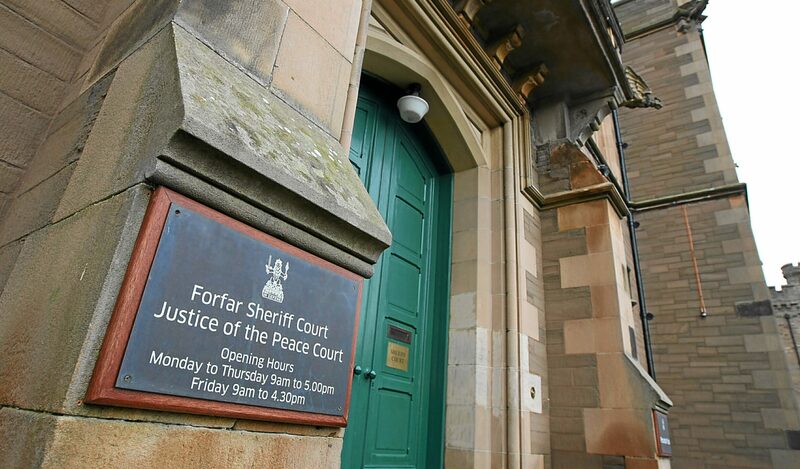 The 30-year-old, of Hill Street, Montrose appeared before Sheriff Gregor Murray at Forfar where he admitted sending offensive text, video and email messages to his partner between December 26 and 28, shouting and swearing towards her on January 13 and a further breach of the peace involving police on the same date. Depute fiscal Matthew Kerr told the court the couple had been in an on-off relationship for around three years and around 5am on Boxing Day morning the woman started receiving the first of the WhatsApp communications. Although the messages were not of a threatening nature, they continued for around 12 hours, by which time McNeil had sent nearly 200 voice calls, video calls and video messages through the app. She blocked him on WhatsApp but on December 27 began to receive the first of 75 imessages just before 4am. From around 10am on December 28 she then received nearly 20 emails and just short of 50 voice calls. McNeil was arrested, but before appearing in court he then went to the woman’s house at 2.45 am on January 13. She had been on a night out and the court heard when she looked out of her letter box, McNeil was staring back at her. Sheriff Murray told McNeil: “There is no excuse for what you did. This was a litany of messages of various types, and you also acted in a highly aggressive way towards police officers.